What is Villa Preferred Access? Who can take advantage of the Villa Preferred Access timeshare scheme? In which resorts is Villa Preferred Access valid? It is a great option for timeshare members who own a timeshare at one of Villagroup’s timeshare resorts in Mexico or those who wish to buy their first timeshare at a Villa del Palmar resort. Villa Preferred Access is the name given to a points scheme which enables you to tailor your timeshare vacations at Villa del Palmar resorts to suit your vacation requirements. When you purchase a Villa del Palmar timeshare and join Villa Preferred Access you can use your points to stay in a Villa del Palmar resort in Puerto Vallarta, Cancun, Loreto, Cabo San Lucas and Riviera Nayarit for as little as two days or as long as your points cover. Villa Preferred Access is an improvement on the traditional timeshare model which saw timeshare owners buying week intervals without being able to split weeks. Villa Preferred Access allows you to use the equivalent of a week to stay on two separate occasions in two different resorts (or more depending on how many Villa del Palmar timeshare points you own). In addition, your Villa Preferred Access timeshare points are valid for other benefits like staying in a more luxurious accommodation or to purchase an all inclusive meal plan. Who can take advantage of the Villa Preferred Access timeshare scheme? Timeshare owners who bought fixed week timeshares at a Villa del Palmar resort in the past are entitled to upgrade and join the Villa Preferred Access program. Any new buyers of Villa del Palmar timeshares will be given the chance to be part of the Villa Preferred Access benefits program. Which resorts is Villa Preferred Access valid? 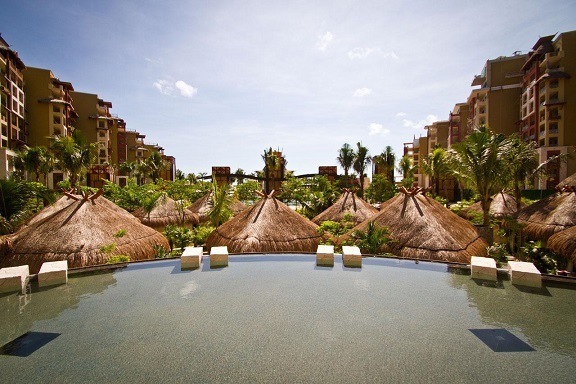 You can use Villa Preferred Access points in any of the Villa del Palmar resorts in Mexico. The destinations where The Villagroup have resorts are Cancún, Puerto Vallarta, Nuevo Vallarta, Cabo San Lucas, Loreto with more destinations planned for the future.